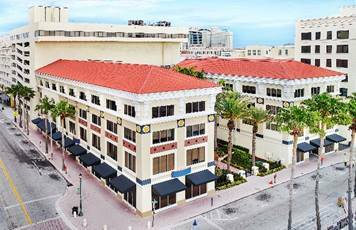 This Class “B” Corporate Office Building consists of 4 stories with an attached 10-story Garage that has been institutionally maintained. The Office Building has a U-shaped configuration with an attractive open-air courtyard patio and fountain between the two wings of the building. The Office Building is approximately 56,370 SF. The Garage has 9 levels of parking with 257 spaces and approximately 14,915 SF of office space on the 10th floor.